I caught myself telling my children this the other day and immediately regretted it. Because it’s completely untrue. Words have the power to build and the power to destroy. They also have the power to change how someone thinks of you and how you think of yourself. Ancient wisdom has understood this for millennia and yet our “better” modern knowledge would have us believe that this is not true. If this ancient wisdom is correct, then we can use this information to create better negotiations. Therefore, continuing on the logical path that words have power, what you say and how you say things can literally change the shape, tone, and likelihood of success of your negotiations. This means that you have the ability to change the perception of the party that your’re negotiating with, you just have to use the right words. So how do you determine what words to use and when to use them? Do you understand the needs (the must have’s) and the wants (the nice to haves) of the party that you’re negotiating with)? Do you understand why those things are important to them? People don’t buy things, they buy what things give them and how things make them feel. Coca Cola doesn’t sell a sugary carbonated beverage, they sell happiness. Ever seen a Coca Cola commercial focus on the features of their product? Me neither.They sell so much Coke because they’ve tapped into a basic human need (to be happy) and associated their product to that feeling. Negotiating is very similar in that regard. Why is the person and the company buying your product or service? If you said, “They’re buying my service to improve their operations.” you’re only half right. You’ve tapped into the need, but not the “why” behind the need. The truth is that you’re negotiating with multiple stakeholder groups at all times on either side of the table and each of those stakeholders has their own unique needs and wants and their own unique “why”. Your job is to tap into their “why” and speak to that “why” every time that you negotiate with them. When you can associate your product or service to meeting the needs of their “why” you can condition them to respond positively to your product or service. Here’s a quick word tip to gain trust and condition the other party without having to do all the leg work of finding out the “why” behind their needs and wants. Replace the word “but” in your vocabulary with the word “and”. A mediator and lawyer I know calls the word “but” the great eraser when you are trying to reinforce your point in a negotiation. By saying the word “but” right after trying to show the person that you have heard what they are saying, you immediately negate those words and what this tells the person is that you haven’t heard their request and that it doesn’t matter. By saying the word “and” right after trying to show the person that you have heard what they are saying, you immediately tell that person that you’ve heard them AND that there’s a reason for those high prices. Your words have power. But in order to use powerful words, you need to understand the “why” behind the other party’s needs. And to understand the “why” you need to ask good open ended and probing questions. When you can understand the “why” you begin to understand intention. And when you understand intention, you begin to understand why people do the things they do and you can start to predict how a person will respond to what you say when you plan your negotiation. And if you can predict what people are likely to say, you can structure your questions to generate the responses that lead to agreement. Here’s a quick example for sales people. The default response of procurement people to salespeople at a prospecting call is “no”. So if you know that’s the default response, why wouldn’t you change your question to generate that default response in your favor? 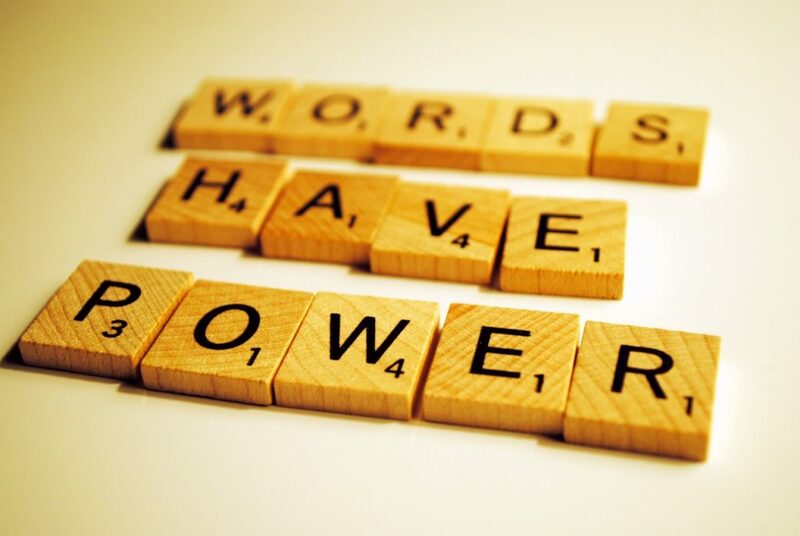 Your words have power. Learn how to use them.